Nobody likes damp socks or trench foot, which is why you need a reliable set of rain boots. Prepare for the rain and save your expensive work shoes with quality rain footwear. 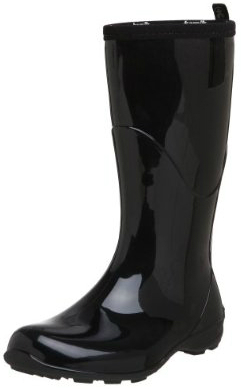 Rain boots are designed to withstand rain and wet conditions. Whether you’re exploring the urban jungle or the great outdoors, your rain boots can protect you from rain and mud. You shouldn’t have to sacrifice your style to keep your feet warm and dry. That’s why we’ve found some of the best women’s rain boots to protect your feet and maybe even complement your wardrobe. The Kamik Women's Heidi Rain Boots feature a removable comfort EVA footbed to keep your feet dry and comfortable all day. The sleek, waterproof pull-on boots feature a rubber sole, 50% natural and plant material upper, and an ATRIUM outsole to maximize traction and reliability in the most extreme weather. The dependable, lightweight boots are available in various different colors. Most reviewers find these to be very comfortable, but they may be too tight for people with larger calves. These are recommended by Rank & Style and have outstanding online reviews, including more than 1,300 five-star reviews on Amazon. You can send the durable boots back to the company for recycling when you’re through with them. Kamik offers a huge range of highly rated fashionable rain boots, including Kamik Women's Jennifer Rain Boots and Kamik Women's Olivia Rain Boots. The Hunter Unisex Original Boots have a devout following. That’s because Hunter has a reputation for creating high quality, durable boots for the whole family. The stylish waterproof boots feature quick-dry knitted nylon lining and a multi-layer cushioned sponge insole. The heavy, unisex pull-on style boots feature a natural rubber construction and sole, a decorative buckle, and logo detail. They come up to just under the knee to keep you warm and dry through any rainstorm. These are available in 12 colors to suit your style. They are recommended by Good Housekeeping and Rank & Style, and have outstanding reviews online. The Bogs Women's Classic High Handle Waterproof Insulated Boots combine style and functionality to provide rugged construction and dependable use, in any condition. The waterproof boots feature an open tab in the back to help you quickly pull the boots on. The plush, removable, moisture-wicking insole offers enhanced comfort, breathability, eliminates odor, and dries out quickly. The nonslip rubber soles offer excellent grip and traction on wet surfaces. The rubber upper and neoprene shaft shed rain to keep your feet warm and dry in rainy or light snowy conditions. The tall rain boots come up higher than many other rain boots to keep rain out. These are available in black and smooth black. They are recommended by Good Housekeeping and earned a perfect score on the water-resistance test. They also have outstanding online reviews, including more than 300 five-star reviews on Amazon. They are also backed by a 100% satisfaction guarantee for your added peace of mind. The sturdy Nomad Women's Puddles Rain Boots will keep your feet warm and dry by preventing dampness, even in extreme weather conditions. 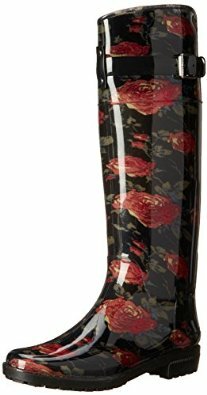 The stylish boots feature an all over printed pattern, rubber upper, soft fabric lining, size buckle for an adjustable fit, and a slightly heeled, treaded rubber outsole. The fashionable boots have a wide enough opening to comfortably fit large calves or tucked pants. The classic midcalf boots are available in a large range of colors and designs to suit your style. They have outstanding online reviews, including more than 700 five-star reviews on Amazon. 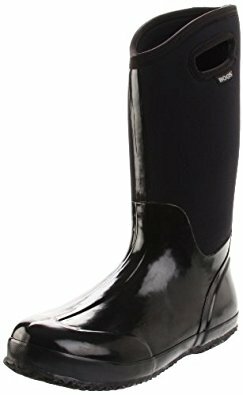 If you want to step up your fashion game, even in the rain, then consider the Lauren Ralph Lauren Women's Rossalyn II Rain Boots. The high quality, fashion forward boots can complement any outfit without looking like traditional rain boots. They feature a buckled strap at the shaft and logo overlay. The sophisticated, timeless boots will leave you looking polished, even in a rainstorm. They are available in a range of colors and sizes, but can be tight on larger calves. These are recommended by InStyle and have outstanding reviews from fashionable ladies. 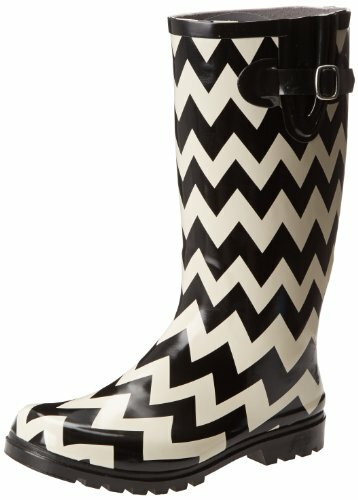 And those are our recommendations for the best women’s rain boots. As always, be sure to check Wise Bread's Buying Calendar to learn when and how to buy just about anything!